Mumbai, January 28: With a view to integrate development of theme-based tourist circuits in Maharashtra, Commerce Minister Suresh Prabhu today inaugurated the Maharashtra Tourism Development Corporation (MTDC) project at Sawantwadi in the state of Maharashtra. 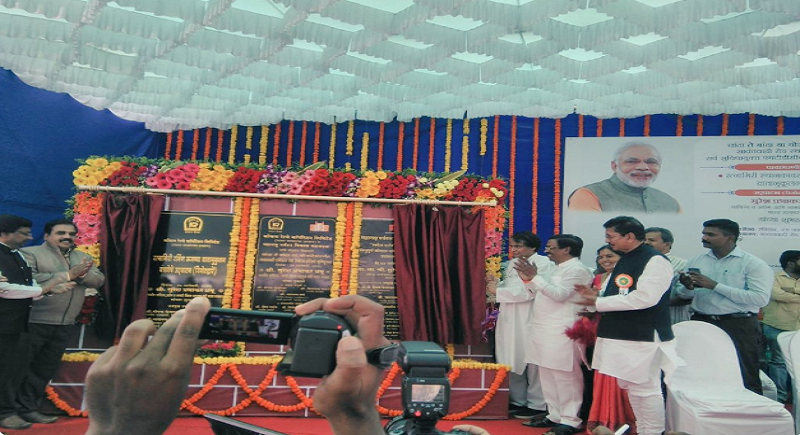 He also laid the foundation stone for Budget hotel at MTDC. “These proactive initiatives by MTDC aims to promote accessible and affordable travel and theme based tourist circuits”, he said while addressing the present. In his tweet series, he meanwhile appreciated the support shown by the youth and people of Sawantwadi in the Shakti yatra, supporting PM Narendra Modi. “Was glad to see the support shown by the youth and people of Sawantwadi in the Shakti Yatra to support Our Hon'ble PM Shri Narendra Modi ji”, he tweeted. Maharashtra Tourism Development Corporation commonly abbreviated as MTDC, is a body of the Government of Maharashtra responsible for development of tourism in the Indian state of Maharashtra. Since Inception it been involved in the development and maintenance of the various tourist locations of Maharashtra. MTDC owns and maintains resorts at all key tourist centres and having more resorts is on the plan. MTDC initiates & supports various cultural activities across Maharashtra with the objective to improve tourism in the state. One such example is Sanskruti Arts Festival, Upvan, Thane which MTDC has supported along with the Municipal Corporation. “India’s rich cultural, historical, religious and natural heritage provides a huge potential for development of tourism and job creation in the country. There is a great scope and need to develop tourist circuits on specific themes to attract the tourists having special interest in visiting such places”, the Ministry of Tourism said. In due recognition to this the Government of India, Ministry of Tourism (MoT) launched the Swadesh Darshan Scheme for integrated development of theme based tourist circuits in the country in 2014-15. This scheme is envisioned to synergise with other Government of India schemes like Swachh Bharat Abhiyan, Skill India, Make in India with the idea of positioning the tourism sector as a major engine for job creation, driving force for economic growth, building synergy with various sectors to enable tourism to realise its potential, it added further.